The United Nations made this clear in the legal ruling of its Working Party on Arbitrary Detention. By the standard of Nuremberg, Blair’s “paramount crime” is the deaths of a million Iraqis. Assange’s crime is journalism: holding the rapacious to account, exposing their lies and empowering people all over the world with truth. In Australia, the current America-besotted government is prosecuting two whistle-blowers who revealed that Canberra’s spooks bugged the cabinet meetings of the new government of East Timor for the express purpose of cheating the tiny, impoverished nation out of its proper share of the oil and gas resources in the Timor Sea. Their trial will be held in secret. The Australian prime minister, Scott Morrison, is infamous for his part in setting up concentration camps for refugees on the Pacific islands of Nauru and Manus, where children self harm and suicide. In 2014, Morrison proposed mass detention camps for 30,000 people. 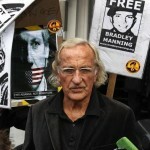 *John Pilger has won an Emmy and a BAFTA for his documentaries, which have also won numerous US and European awards. 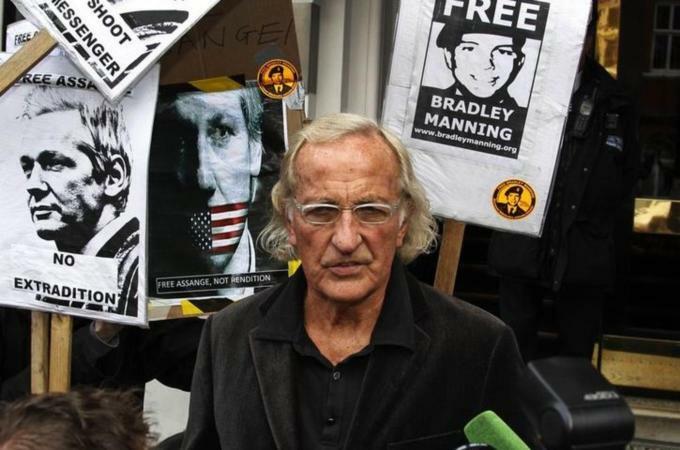 His articles appear worldwide in newspapers such as The Guardian, The Independent, The New York Times, The Los Angeles Times, The Mail & Guardian (South Africa), Aftonbladet (Sweden), Il Manifesto (Italy). He writes a regular column for the New Statesman, London. In 2003, he was awarded the prestigious Sophie Prize for ’30 years of exposing injustice and promoting human rights.’ In 2009 he was awarded the Sydney Peace Prize. (This article has been posted here from TRANSCEND Media Service). “That this outrage happened in the heart of London, in the land of Magna Carta, ought to shame and anger all who fear for “democratic” societies. Assange is a political refugee protected by international law, the recipient of asylum under a strict covenant to which Britain is a signatory.” ! !